Thanks for visiting my website and I hope you will take the time to review My Business Portfolio. When you join any of the programs with me you are joining a team leader that truly believes in the philosophy that building relationships is the most important factor in doing any business. Join one or all of the multiple business models I offer and you will receive support and training unlike any you have ever experienced. I belong to a team called TeamElite Power Team and you will also have support from my team. You are welcome to come to any of our Zoom Meetings just to get acquainted with me and my team before you ever make a decision to join any of the programs. We meet on Zoom every Monday at 8:30pm EST to present information and answer questions for 5050 Crowdfunding and CoopCrowdFund. Come join us and also have the pleasure to meet David T Rosen the founder/owner of 5050 CF and CoopCF. We meet Thursday nights at 9pm EST to discuss and answer questions about all the other programs. Zoom ID 495 400 2688. 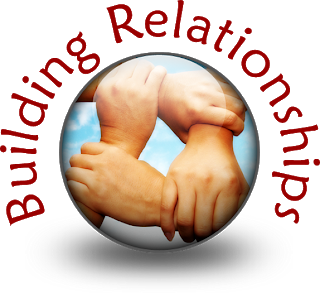 With tools and technology we have at our fingertips we can build relationships globally and meet face to face on Zoom. Lets tear down the walls and boundaries that separate us and come together to create a better world with prosperity and abundance for all. Please take your time to review the multiple programs I have to share with you. Any of them can be the vehicle to help you to secure your Financial Future. 50/50 Crowdfunding, a team crowdfunding system with a $150 one time donation where you can receive $450 in donations over and over. If you are looking for simple, fast & fun join 50/50. CoopCrowdFund is the first and only cooperative crowdfunding platform where givers become receivers. Be sure to review it. Donation Levels are €10, €25 or €100. CCF is a monthly subscription donation platform that will build incredible residual earnings. Karatbars International, founded in April, 2011 has proven themselves to be a leader in the industry offering a safe and affordable way for the average person to acquire gold and now also offering Gold backed KBC & KCB coins. The Future Of Money is Gold and Crypto – The timing is perfect! Sky Way Invest Group, We are happy to introduce you to the future of our worlds transport systems and offer you the chance to purchase an Educational Information Products/Package. Each package comes with BONUS pre IPO (before initial public offering) private equity shares in the company. We also refer to them as PIPES. You can acquire shares for as little as $5.00. In the same way I pride myself on the importance of building relationships I also pride myself in the importance of doing my due diligence and research on the businesses and business owners of the programs and business opportunities I join. I have great confidence in the choices I have to offer you believing that they will be here for the long term to offer you legacy wealth to pass on for generations to come.